The online version of this article ( https://doi.org/10.1186/s40425-018-0326-x) contains supplementary material, which is available to authorized users. The current high interest in immuno-oncology is due in large part to the recent therapeutic success of approved immunotherapies targeting the programmed cell death protein 1 (PD1) and PD1 ligand (PD-L1) and the cytotoxic T lymphocyte–associated protein 4 (CTLA-4) pathways. Six such drugs are now approved for the treatment of multiple types of cancer. These include the monoclonal antibody therapies durvalumab, nivolumab, avelumab, pembrolizumab, and atezolizumab, which target PD1 and PD-L1 signaling, and ipilimumab, which is directed at CTLA-4 [1, 2, 3]. Nonetheless, treatment with these drugs fails in a substantial proportion of patients. There is thus a clear need to investigate the reasons for therapeutic failure, develop biomarkers to identify subsets of patients who are likely to respond, and explore additional aspects of the immune response to cancer. The immune response to cancer is complex, and our understanding overall seems limited. For example, it is understood that the tumor microenvironment (TME) involves a mix of cell types and cellular and soluble molecules interacting in time and space [3, 4, 5, 6, 7]. Understanding how these factors interact spatially represents a particular challenge for the field of immuno-oncology. The Cancer Genome Atlas (TCGA) has substantially informed our understanding of cancer immunity through the mapping of key genomic changes for 33 types of cancer . Importantly, genomic techniques afford comparability across cancer types because of their ability to measure numerous immuno-oncology–related genes simultaneously and because multiple laboratories working independently can coordinate and harmonize their analyses. These kinds of studies, however, cannot be used to measure expressed proteins, the distribution of immune cells in the TME or the spatial arrangement of different cell types. In contrast, histopathology-based studies, which employ a growing number of immunohistochemistry (IHC) and related methods, now demonstrate key immune biomarkers that in many cases address certain spatial or morphological aspects of the TME. These methods are supported by a variety of descriptive, semiquantitative, and quantitative scoring methods. The ability of histopathology to provide accurate quantitative data in a way that also addresses the spatial aspects of the TME remains limited, though image analysis is increasingly addressing this limitation [9, 10, 11, 12, 13]. In addition, the inconsistency with which IHC biomarker analyses are conducted by multiple laboratories hinders the ability to compare histopathological changes across cancer types . Overcoming these challenges requires novel methods and better harmonization among laboratories. CD8 is a transmembrane glycoprotein expressed mainly on the surface of cytotoxic T lymphocytes. Studies of preclinical models and human cancers have shown that CD8-expressing (CD8+) lymphocytes limit neoplastic cell growth, suppress tumor infiltration, and mediate the outright elimination of tumors [15, 16, 17]. Accordingly, CD8 parameters have been assessed in many studies of cancer therapy, including chemotherapy, radiation, and immunotherapy [18, 19, 20]. CD8 IHC itself has been used to demonstrate important facets of the immune response to cancer [21, 22, 23, 24, 25, 26, 27]. For example, enumeration of CD8+ tumor-infiltrating lymphocytes (TILs) has been shown to be a reliable prognostic marker for a number of cancers, including colorectal cancer and non–small-cell lung carcinoma (NSCLC) [3, 21, 23, 24, 28]. CD8 combined with CD3, CD45RO, FoxP3, granzyme B, or other IHC markers may provide information of even greater prognostic significance [7, 21]. Measuring CD8+ TILS may also help to identify patients who are responsive to cancer immunotherapies. In addition, these and other studies show the importance of immune cell distribution as a measure of the immune response to cancer. CD8 IHC further illustrates the limited capacity of histopathology to compare multiple cancers due to the great variability in the methods used by different laboratories. This is exemplified by the use of multiple IHC assays and especially by the use of different means of quantifying CD8 or CD8+ TILs. Some investigators have measured CD8+ TILs using semiquantitative methods [33, 34] or pixel-based measurements with digital image analysis (IA) . Others have digitally or manually counted CD8+ TILs, though typically only in a fraction of tumor sections [16, 36, 37, 38]. The original immunoscore itself was used to quantify CD8+ TILs in the TC and IM of colorectal cancer, but only in a few selected regions of each patient sample . Although such methods help us to understand the TME, they do not support comparisons of CD8 results across a range of studies. Studies that instead use IA to quantifiably and reproducibly measure TIL numbers across entire tumor sections are rare  and to our knowledge have not been validated for multiple tumor types. In this context, we report the development and validation of digital IA scoring methods that have been customized to profile multiple CD8 measures in whole-tumor sections of diffuse large B-cell lymphoma (DLBCL), gastroesophageal carcinoma (GEC), non-squamous (LNSQ) and squamous (LSCC) types of NSCLC, pancreatic carcinoma (PANC), primary prostate carcinoma (PROS), renal cell carcinoma (RCC), squamous cell carcinoma of the head and neck (HNSCC), and urothelial bladder carcinoma (UBC). We further profiled CD8 in select clinical specimens of NSCLC. Our findings showed a number of differences in CD8 parameters among individual patient samples and between different types of cancer. Such an overall approach can be applied in a common manner to increase the comparability of tumor profiling for CD8 or other immune markers performed by multiple laboratories. 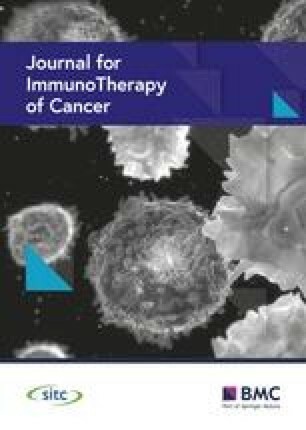 The use of validated and harmonized IA methods such as these not only should contribute to our understanding of the immune response to cancer but can also advance the development of tumor biomarkers needed to effectively pair subsets of cancer patients with appropriate immunotherapies. The digital images were imported into Developer XD software (Definiens) and analyzed using the program’s cognition network technology . In other studies, different IA methods have been applied to segment immunolabeled cells and hematoxylin-stained nuclei [41, 42, 43, 44, 45, 46]. Here, we used rule-based methods combined with machine learning to segment cells and nuclei of acquired images, using Developer XD . This approach was deemed most suitable to account for a number of variables that can influence the quality of CD8-related digital readouts, such as histological quality, tissue necrosis, and immunostaining variability across numerous tumor specimens. To accurately detect CD8+ cells, we translated knowledge from pathologists into a rule-based IA algorithm that is implemented in Developer XD using cognition network technology. First, clearly immunolabeled nonclustered cells were detected, followed by identification of more challenging cell shapes. Then, regions of densely clustered CD8+ lymphocytes were accurately resolved, taking into account more complex local information of the cells judged to be positive. In addition, simple morphological descriptors of valid CD8+ cells, such as size, ellipticity, and compactness, as well as complex features such as completeness of membrane labeling, were optimized. Customized removal of cells that were deemed false positive incorporated adaptive stain-intensity thresholds combined with morphological criteria. For instance, weakly stained or partial cells that were unassociated with a detected nucleus were generally discarded. The ability to compare CD8+ TILs across multiple types of cancer by IHC based on a harmonized approach has not previously been reported. Thus, the data from our analysis of nonclinical samples provides a potentially helpful comparative view of the immune response to cancer. For instance, the different levels of CD8+ TIL densities that are evident among various cancers may serve as an indicator of the relative immune responsiveness of each tumor type, based on concepts of CD8 previously proposed [5, 15, 16, 17, 19, 20]. In that regard, we found the highest numbers of CD8+ TILs in DLBCL specimens, providing additional support for the prevailing notion of DLBCL as an immunogenic cancer. Based on the additional belief that immunogenic types of cancer are potentially amenable to checkpoint immunotherapy, it is worth noting that a recent study showed meaningful response to the PD1 antibody nivolumab in patients with DLBCL . By comparison, we found RCC and UBC had much lower CD8 group values, suggesting that they may be relatively less immune responsive. However, such an interpretation could be misleading, because a number of individual RCC and UBC samples had relatively high CD8+ TIL densities. These findings are consistent with the meaningful response to immunotherapies experienced by some patients with these cancers. In contrast, PROS samples demonstrated a low median value within a narrow range of individual CD8 TIL densities. Combined, these findings more strongly support the notion of PROS as an immunosuppressed tumor type, and one for which multiple immunotherapy approaches have failed . Another notable finding in our data is the significantly higher CD8+ TIL densities in the IM versus the TC for multiple cancers. Only PROS samples demonstrated a significantly lower density of CD8+ TILs in the IM than in the TC. We are not aware of any basis for such a distinction in primary PROS, although one possibility is that TIL trafficking patterns might somehow be different in this versus the other tumors. Additional interpretations of the CD8 data presented here are possible. It is also important to interpret our data with the understanding that some tumors harbor CD8+ TILs weighted toward a dysfunctional, rather than functional, immune-responsive phenotype [15, 28]. Measuring TIL densities based on CD8 IHC alone may therefore be a misleading indicator of immune activity in individual cases. In that regard, the use of multiplex immunostaining is increasingly being used to better define the phenotype of individual CD8+ TILs, to study the topographical relationships between CD8 and other immune cells, or to determine the localization of CD8+ TILs in distinct compartments (eg, desmoplastic stroma) [10, 11, 12, 13]. Adding quality IA methods to multiplex immunostaining should provide a powerful combination with the ability to better understand the context of CD8+ TIL infiltrates or the immune response to cancer. We are currently investigating several additional immunoregulatory proteins by IHC or multiplex immunostaining in many of the sample sets reported here, using an IA approach similar to that used for CD8. This should expand our classification of individual tumors and provide helpful immunological context with which to interpret the CD8 data presented here. Appropriate gene expression analysis of these same FFPE tissues could provide additional value.